The NTF III Bangladesh project seeks to create and support jobs in Bangladesh by enhancing the export competitiveness of its IT and IT-enabled services (ITES) sector. 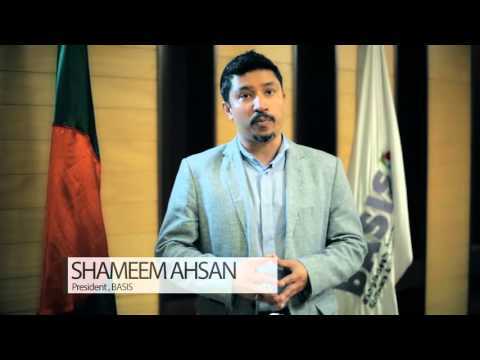 IT & ITES sector in Bangladesh? The IT&ITES sector in Bangladesh has grown considerably in recent years. Today, it counts more than 1500 registered service providers employing over 250000 ICT professionals. The country is amongst the top emerging IT outsourcing destinations specialized in mobile services and applications, as well as in graphic-design execution services (image editing, banner creation). Bangladesh is mentioned in the AT Kearney’s Global Services Location Index and in Gartner’s list of Leading Locations for Offshore Services. Its SMEs provide high-quality, globally cost-competitive ‘boutique style’ services, standing out through profound expertise in the mobile industry. There is evidence of many global players like Samsung, AMD or Rocket Internet setting up operations in Bangladesh. To generate new export revenues for Bangladesh’s IT and ITES industry sector, ITC is working with the Dhaka Chamber of Commerce and Industry (DCCI) and the Bangladesh Association of Software and Information Services (BASIS), the main industry association, to enhance their service delivery to members, their ability to promote entrepreneurship and help Bangladeshi businesses, especially small and medium-sized enterprises (SMEs), connect to foreign markets. Furthermore, the NTF III Bangladesh project works directly with 40 selected beneficiary IT & ITES SMEs to increase their export capacities. Within the project’s “Women in IT” component, 6 women entrepreneurs benefit from targeted activities and advice. If you are interested in finding reliable outsourcing partners and cost-competitive IT & ITES skills, please review the profiles of the 40 most export-ready IT & ITES providers in the 2016 Exporter Directory or by downloading the Exporter Directory Applications. The NTF III project 1) improves institutional, marketing, and managerial capacity of BASIS and DCCI to provide export-related services to SMEs, 2) strengthens the export capacity of selected exporting SMEs, and 3) expands actual business linkages and partnerships in target export markets such as the United Kingdom and the Netherlands, during the implementation period 2014-2017.